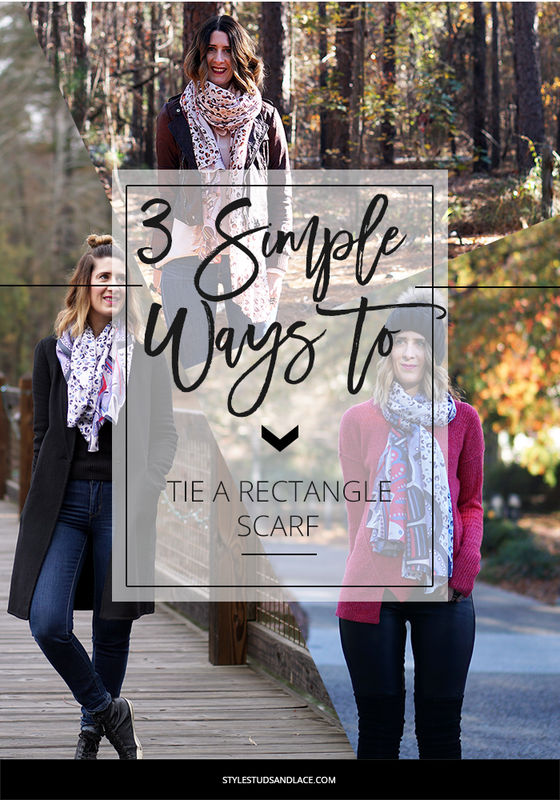 Last week I mentioned that I’d finally been able to restock a couple of my scarf designs in the shop so I thought it would be fun to show you three of my favorite ways to tie them! 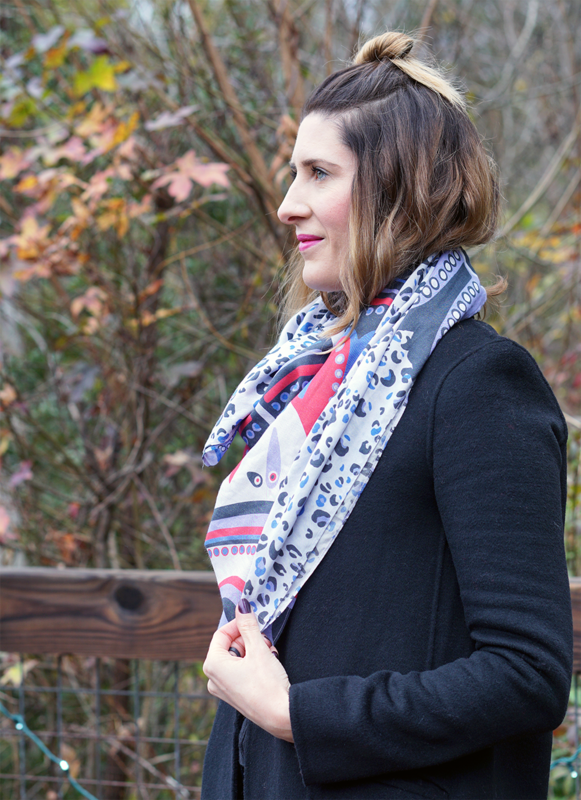 I’m featuring my two long scarves this week – Atasi and Sona. Both of which were inspired by the beautiful hand painted trucks I saw all over India while I was there. Each design was hand drawn and painted on paper, intricately cut and then layered before being transferred to the computer so they could be digitally printed. My scarves are large, and I mean large – I can’t see the point of piddly little scarves that leave you very little fabric to play with. These, however, are large enough to be worn multiple ways but today I’m going to illustrate just three. 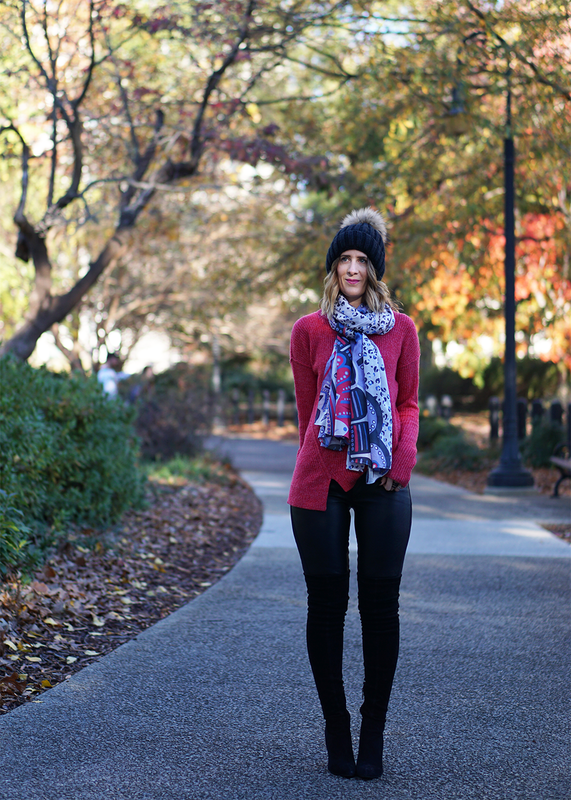 Wrap the scarf around your neck, making sure that one side hangs longer than the other. Grab the longest end and wrap it round your neck. Fluff and tweak the fabric around the neck. That’s it! Pull and fluff so the scarf isn’t tied to tightly around the neck. OPTIONAL do the same with the other end but in reverse – pull the end through the loop and under so that it sits underneath. 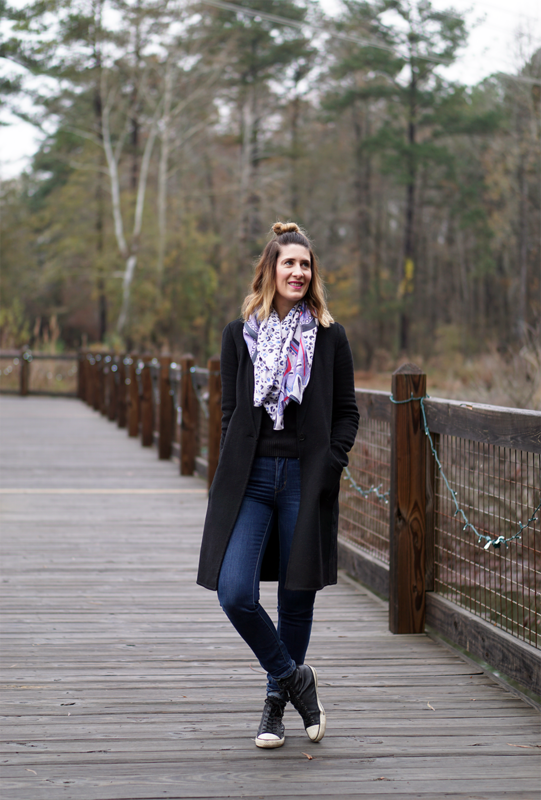 I’ll definitely be sharing a few more ways to tie scarves in the future so if you have any favorites that you want to share, let me know! 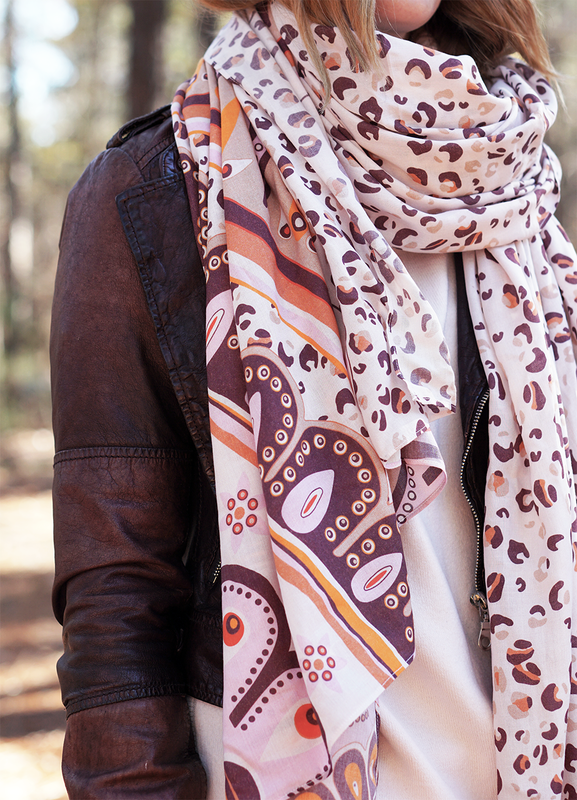 And if you want to take a closer look at my scarf collection, visit my shop here. 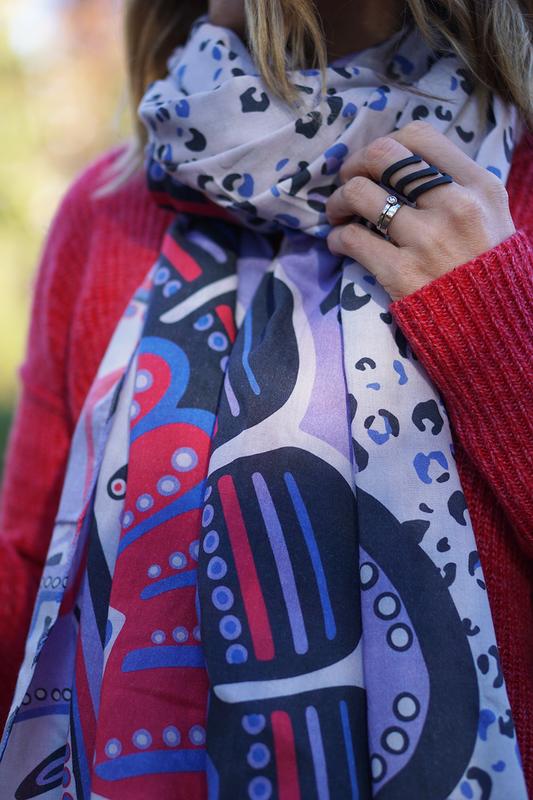 I’m currently offering free shipping to anyone who purchases a scarf before 12th December. 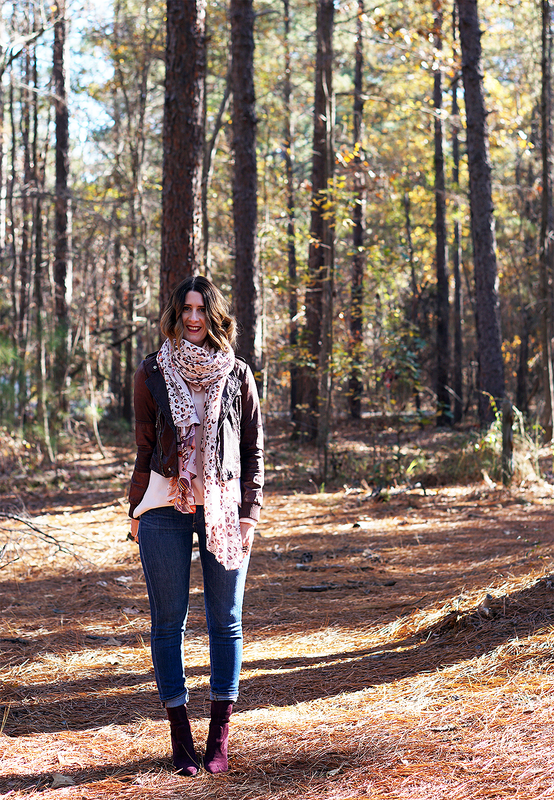 Simply enter the code FREESHIPPING at the checkout and I’ll ship your scarf for free! And be sure to order by 17th December to guarantee delivery to USA addresses before Christmas!